Optical Spectroscopy bridges a gap by providing a background on optics while focusing on spectroscopic methodologies, tools and instrumentations. The book introduces the most widely used steady-state and time-resolved spectroscopic techniques, makes comparisions between them, and provides the methodology for estimating the most important characteristics of the techniques such as sensitivity and time resolution. Introduction to Laser Spectroscopy is a well-written, easy-to-read guide to understanding the fundamentals of lasers, experimental methods of modern laser spectroscopy and applications. It provides a solid grounding in the fundamentals of many aspects of laser physics, nonlinear optics, and molecular spectroscopy. In addition, by comprehensively combining theory and experimental techniques it explicates a variety of issues that are essential to understanding broad areas of physical, chemical and biological science. Topics include key laser types - gas, solid state, and semiconductor - as well as the rapidly evolving field of ultrashort laser phenomena for femtochemistry applications. The examples used are well researched and clearly presented. Introduction to Laser Spectroscopy is strongly recommended to newcomers as well as researchers in physics, engineering, chemistry and biology. Optical interferometry is used in communications, medical imaging, astonomy, and structural measurement. With the use of an interferometer engineers and scientists are able to complete surface inspections of micromachined surfaces and semiconductors. Medical technicians are able to give more consise diagnoses with the employ of interferometers in microscopy, spectroscopy, and coherent tomography. Techniques of Vacuum Ultraviolet Spectroscopy was first published in 1967. In the three decades since, the techniques associated with vacuum ultraviolet spectroscopy have been greatly expanded. Originally published as two volumes in the serial "Experimental Methods in the Physical Sciences," Vacuum Ultraviolet Spectroscopy combines in one paperback volume information on the many advances in vacuum ultraviolet (VUV) research. In addition, the book provides students and researchers with concise reviews of the important aspects of designing experiments in the VUV region. 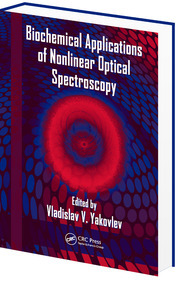 This is the only comprehensive treatise describing the use of synchrotron and other light sources for research, along with the new technologies in optical elements, multilayers, mirror coatings, soft x-ray zone plates, VUV detectors, interferometric spectrometers, and subjects such as spectromicroscopy, lithography, and photon-induced fluorescence. 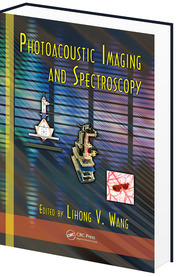 Bringing together the leading pioneers in this field to write about their own work, Photoacoustic Imaging and Spectroscopy is the first to provide a full account of the latest research and developing applications in the area of biomedical photoacoustics.